“A few drops” is an urban pavilion, focused on environmental issues. Our approach is a critical expression against the industrial pollutions produced by humankind. We called people on social networks, to bring their wasted CDs for us. Thereby the intention was to raise public awareness about the issue and also supplying the main materials of our project with no budget. The pavilion construction is all done by people corporation. The pavilion structure was built with scaffolds which is 4m X 4m X 4m. The CDs were woven in fishing threads and they were hung to the net on the roof. 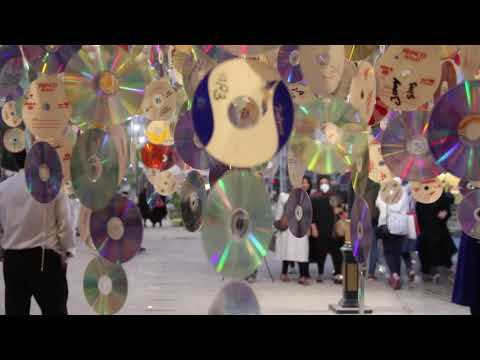 The CDs are the metaphorical expression of raindrops to incite the human senses.